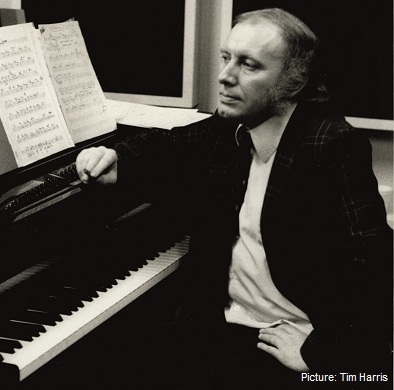 Pianist and arranger Brian Lemon was born in Nottingham in February, 1937 and studied the piano from childhood. 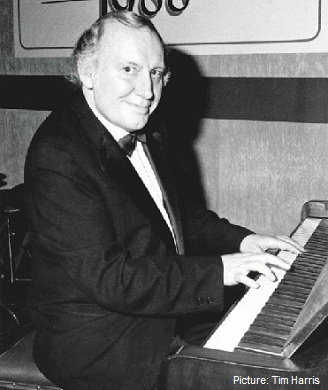 His first professional jobs were dance band work in Nottingham and he moved to London in 1956 to work with Freddy Randall and then Betty Smith. He was then with the Fairweather - Brown Allstars until 1963 before leading his own trio at the Establishment Club in London and then a residency at Annie's Room in 1966. 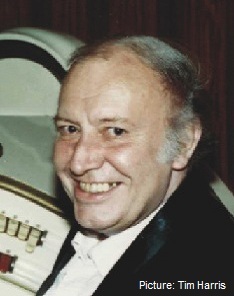 Through the 1960s and '70s he worked with many prominent mainstream musicians including Danny Moss, Dave Shepherd, Bruce Turner, Sandy Brown, Alex Welsh and others. 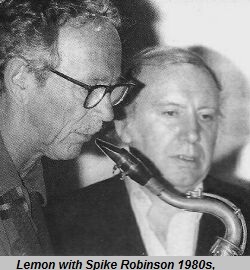 Through to the 1990s he accompanied many visiting US stars including Milt Jackson and Benny Goodman as well as touring internationally with the Charlie Watts Quintet. From the 1990s through to 2001 he freelanced extensively as well as leading his own groups. He also starred in the Best of British Jazz Package. With the advent of John Bune's Zephyr label in 1995 he emerged, belatedly, as a regular recording star often as part of a house rhythm section accompanying players of the calibre of Scott Hamilton, Tony Coe, Alan Barnes and others. Over six years the label recorded an impressive selection of British modern / mainstream music with Lemon in the piano chair. The discography below lists all the Zephyr records that he played on. At the time of writing they are all still in print. Chronic arthiritis brought a premature end to Brian Lemon's playing career. He died on October 11th, 2014. Betty Smitth (ts,vcl), Brian Lemon (p), Terry Walsh (g), Jack Peberdy (b), Stan Bourke (d), Barry Philips (g-1) added. Little White Lies (BS vcl -1)/There'll Be Some Changes Made (BS vcl -1)/Lulu's Back In Town/Sweet Georgia Brown. Ray Crane (tp), Bruce Turner (as), Don Byas (ts), Ronnie Gleaves (vib), Brian Lemon (p), Malcolm Rees (b), Johnny Armitage (d). Lady Bird/I'll Remember April/I Remember Clifford (RC,BT,RG out). Annie Ross (vcl) acc. by Peter King (ts), Brian Lemon (p), Kenny Baldock (b), Benny Goodman (d). Any Place I Hang My Hat Is Home*/Lady's In Love With You*/Lil' Darlin'*/Right To Love*/Solomon*/I'm In The mood For Love*/Moody's Mood For Love*/Jumpin' At The Woodside*/Doodlin'*/Don't Wait Too Long*/Love For Sale*/Going to Chicago*/Soon It's Gonna Rain*/Saturday Night Fish Fry*. Les Condon (flhrn), Danny Moss (ts), Brian Lemon (p), Lennie Bush (b), Tony Carr (d) + unknown strings. Like Someone In Love/Was there A Call For Me?/That's All/Gee Baby Ain't I Good To You/Passing Strangers/Madame La Gimp/Dear Old Stockholm/All Too Soon/When It's Sleepy Time Down South/It Had To Be You/Small Fry/Eleanor/Sonny Boy. Anita O'Day (vcl) acc. by Peter King (as), Brian Lemon (p), Kenny Napper (b), Benny Goodman (d). Let's Fall In Love/Get Out Of Town + 3 unidentified titles. Ray Crane (tp), John Picard (tb), Sandy Brown (cl), Bruce Turner (as,ts,sop), Tony Coe (ts), Brian Lemon (p), Dave Green (b), Bobby Orr (d). Straighten Up And Fly Right/Gentlemen Of The Bar/Sandy's Blues/When My Sugar Walks Down The Street/I'm Coming Virginia/After Supper/Strike up The Band/Easy Living (TC + rhythm)/Hanid (JP + TC + rhythm only). Tony Coe (cl-1,ts), Brian Lemon (p), Dave Green (b), Phil Seamen (d). Aristotle Blues*/Regrets*/Reza (1)*#/Line up Blues*/Together*/Some Other Autumn(1)*. The following titles were not on the LP: Elegy For Kevi*/Perdido*/When Your Lover Has Gone*/In A Mellotone*/U.M.M.G.*. Kenny Baker (tp), George Chisholm (tb), Tommy Whittle (ts), Brian Lemon (p), Lennie Bush (b), Bobby Orr (d). In A Mellotone*/Ain't Misbehavin'*/Avalon*/I Got Rhythm*. George Chisholm (tb), Brian Lemon (p), Kenny Baldock (b), John Richardson (d). Body And Soul*/Sweet Georgia Brown*. Barney Kessel (g), Danny Moss (ts), Stephane Grappelli (vn), Brian Lemon (p), Kenny Baldock (b), John Richardson (d). Tea for Two/Laura/Old Devil Moon plus other titles. Moss and Grappelli sit in on one track only. Kenny Baker (tp), Brian Lemon (p), prob Ike Isaacs (g), poss Len Skeat or Lennie Bush (b), poss Bobby Orr or Jack Parnell (d). Yesterdays/Stella By Starlight/Exactly Like You (rest of this LP by Ralph Sutton and Keith Ingham). Al Grey (tb), Tony Coe (ts) Brian Lemon (p), Lennie Bush (b), Stan Bourke (d). Introduction/Cherokee/Things A'int What They Use To Be/Bewitched Bothered And Bewildered (other titles do not include Brian Lemon). Digby Fairweather (cnt,vcl), Brian Lemon (p), Ted Taylor (keyb), Denny Wright (g), Len Skeat (b), Stan Bourke (d), Chris Ellis (vcl). She's Funny That Way/Jeepers Creepers/Moanin' In The Mornin'/Run Rabbit Run!/Small Fry/Looking At You/Going Out Steppin'/The Very thought Of You/If I Had Rhythm/Blues For The Depression/What A Little Moonlight Can Do/As Long As I Live. Roy Williams (tb), John Barnes (sop,ts), Brian Lemon (p), Len Skeat (b), Stan Bourke (d). Dave Hancock (tp), George Chisholm (tb), Henry Mackenzie (cl,as), Tommy Whittle (ts), Jack Emblow (acc), Brian Lemon (p), Lennie Bush (b), Bobby Orr (d). Feet First/West End Blues/Ain't Misbehavin. Struttin' With Some Barbecue/It's Allright With Me/Careless Love/Stompin' At The Savoy/I Want To Be Happy. Digby Fairweather (cnt), Al Fairweather (tp), Pete Strange (tb), John Barnes (cl,as), Alan Cooper (cl), Brian Lemon (p), Ron Rubin (b), Tony Allen (d). Songs For Sandy/Sandy And Al/Singing Away The Cold In Edinburgh/Hi-life In Hampstead/Sandy's Blues/Requiem For A Weeping Willow/It's Always Fairweather/Pal Sandy/Rosetta/Blue Turning Grey/Everybody Loves Saturday Night. Danny Moss (ts), Brian Lemon (p). David Savill (tp,flhrn), George Chisholm (tb), Tommy Whittle (ts), Henry McKenzie (cl,as), Brian Lemon (p), Lennie Bush (b), Bobby Orr (d), Carole Moore (vocal-1). Jumpin' With Mr C/You've Changed(1)/Sophisticated Lady/Tin Roof Blues/Don't Worry 'Bout Me(1)/One For Monk/That Old Feeling(1)/I'm Beginning To See The Light/Dear Bix(1)/Flip-Flop. Kenny Baker (tp,cnt), George Chisholm (tb,vocal-1), Tommy Whittle (ts), Henry McKenzie (cl,as), Brian Lemon (p), Lennie Bush (b), Ronnie Verrell (d), Bob Bates (tuba), Jim Douglas (bjo). Fidgety Feet/Jodypot/Persian Market/Dapper Dan(1)/After You've Gone/That's A'Plenty/Wolverine Blues/Squeeze Me/Someday You'll Be Sorry(1)My Mother's Eyes/West End Blues. Colin Smith (tp), Roy Williams (tb), Dave Shepherd (cl), Tommy Whittle (ts), Brian Dee (p), Len Skeat (b), Allan Ganley (d). Royal Garden Blues/She's Funny That Way/I Saw Stars/Sultry Serenade/Jeep Is Jumpin'/I Never Knew/Northwest Passage/On The Alamo/Three Little Words/Original Dixieland One Step/Through For The Night/Blues My Naughty Sweetie Gives To Me/Teasing Power Of Lena/Moten Swing/Sugar/Blue Lou/Jones. Gerard Presencer (tp), Peter King (as), Brian Lemon (p), Dave Green (b), Charlie Watts (d). Practicing, Practicing, Just Great/Black Bird, White Chicks/Blue Bird/Terra De Pajaro (1)/Bad Seeds - Rye Drinks/Relaxing At Camarillo/Going, Going, Going, Gone. Joe Temperley (bs,sop), Brian Lemon (p), Dave Green (b), Martin Drew (d). Raincheck*/Body and Soul*/Indian Summer*/Sunset & A Mocking Bird*/Petite Fleur*/Nightingale*/It's You Or No One*/Creole Love Call*/Action*/My Love Is Like A Red, Red Rose*. Kenny Baker (tp,vcl), Derek Watkins, Derek Healey, Tony Fisher, Ronnie Hughes (tp), Jackie Armstrong, Maurice Pratt, Bill Geldard, Don Lusher, Ted Barker (tb), Roy Willox, Ray Swinfield, Tommy Whittle, Peter Warner, Eddie Mordue (saxes), Brian Lemon (p), Lennie Bush (b), Jack Parnell (d). Carnival Time/And The Angels Sing/I Can't Get Started (vcl)/Won't You Come Home Bill Bailey/You Made Me Love You/Satchmo/What's New/How Long Has This Been Going On/Little Jazz/Sugar Blues/Tenderley/Georgia/Davenport Blues/Morning Glory/Echoes Of Harlem/Our Love Is Here To Stay/Memories Of You/Music Goes Round And Around. Scott Hamilton (ts), Brian Lemon (p), Dave Green (b), Allan Ganley (d). Autumn Leaves*/Stardust*/It Could Happen to You*/It Never entered My Mind*/Bernie's Tune*/East Of The Sun*/Time After Time*/Setagaya Serenade*/That's All*/All The Things You Are*/Indiana*. Joe Temperley (bs), Brian Lemon (p), Dave Green (b), Martin Drew (d). Hackensack*/Snibor*/In A Sentimental Mood*/Blues For Nat*/East Of The Sun*/A Single Petal Of A Rose*/Cottontail*/Eriskay Love Lilt (JT alone)*. Danny Moss (ts), Brian Lemon (p), Len Skeat (b), Derek Hogg (d). 9.20 Special*/This Heart Of Mine*/Then I'll Be Tired Of You*/Do Nothin' Till You Hear From Me*/Smoke Gets In Your Eyes*/A Gal In Calico*/In A Mellotone*/My Romance*/Fine And Dandy*/Weaver Of Dreams*/I'm Glad There Is You*/Poor Butterfly*/There's No You*/Blue Lou*. From 1995 Brian Lemon began to record extensively for the Zephyr label and over the next eight years appeared on most of their output. Zephyr used a limited number of top British musicians with occasional US additions. Lemon made a number of recordings, as leader and sideman. Warren Vache (corn), Brian Lemon (p). Alan Barnes (cl,as,bs), Brian Lemon (p). My Shining Hour*/Come Rain Or Come Shine*/Last Night When We Were Young*/I've Got The World On A String*/If I Only Had A Brain*/This Time The Dream's On Me*/When The Sun Comes Out*/A Sleepin' Bee*/As Long As I Live*/IIl Wind*/Don't Like Goodbyes*/Down With Love*/Between The Devil And The Deep Blue Sea*. Alan Barnes (cl,as,bs), Brian Lemon (p), Dave Green (b). I Told Every Little Star*/Yesterdays*/Bill*/The Folks Who Live On The Hill*/All The Things You Are*/They Didn't Believe Me*/Dearly Beloved*/Look For The Silver Lining*/Smoke Gets In Your Eyes*/Pick Yourself Up*/I'm Old Fashioned*/Long Ago And Far Away* . Alan Barnes (cl,as,bs), Gerard Presencer (tp,flhrn), Iain Dixon, Andy Panyani (reeds), Brian Lemon (p), Anthony Kerr (vib), Dave Green or Alec Dankworth (b), Clark Tracey (d). Limehouse Blues*/Polka Dots And Moonbeams*/Mood Indigo*/Just One Of Those Things*/Chelsea Bridge*/Secret Love*/I've Gotta Right To Sing the Blues*/Willow Weep For Me*/Some Day My Prince Will Come*/After Supper*. Alan Barnes (cl,as,bs), Gerard Presencer (tp), Iain Dixon, Andy Panyani (reeds), Brian Lemon (p), Anthony Kerr (vib), Dave Green or Alec Dankworth (b), Clark Tracey (d). Moonglow*/Boar Jibu*/Everything Happens To Me*/The Very Thought Of You*/Passion Flower*/Wabash*/From This Moment On*/Honeysuckle Rose*/Intimacy Of The Blues*. Ruby Braff (cnt,tp), Warren Vache (flhrn), Roy Williams (tb), Brian Lemon (p), Howard Alden (g-1), Dave Green (b), Allan Ganley (d). Take The A Train*/When I Fall In Love(1)*/Wouldn't It Be Luverly(1)*. Ruby Braff (cnt), Brian Lemon (p), Allan Ganley (d). Someday Sweetheart*/The Very Thought Of You*/I've Got A Feeling I'm Falling*/This Is All I Ask*/It's The Same Old South*/China Boy*. Ruby Braff (cnt,tp), Warren Vache (flhrn-1), Roy Williams (tb-1), Brian Lemon (p), Howard Alden (g-2), Dave Green (b-1), Allan Ganley (d). Jive At Five(1)*/Rockin' Chair*/When A Woman Loves A Man*/I Cried For You (1,2)*/Pennies From Heaven*/I'm Pullin' Through*/Miss Brown To You*/I Know That you Know(1)*/Save It Pretty Mama*. Kenny Baker (tp,cnt), Warren Vache (cnt), Brian Lemon (p), Howard Alden (g), Dave Green (b), Allan Ganley (d). Ain't Misbehavin'*/Let's Call The Whole Thing Off*/Just A Gigolo*/You Stepped Out Of A Dream*/These Foolish Things*/I Can't Give You Anything But Love*/Strike Up The Band*/When You Wish Upon A Star*/Robbin's Nest*/Broadway*/Who's Sorry Now*/After You've Gone*/Moonlight In Vermont*/Royal Garden Blues*. Brian Lemon, Dave Newton (p). Riverboat Shuffle*/The Nearness Of You*/Rockin' Chair*/Two Sleepy People*/Georgia On My Mind*/My Resistance Is Low*/Skylark*/Up A Lazy River*/Stardust*/Small Fry*/One Morning In May*/Blues For Hoagy*. Brian Lemon (p), Dave Green (b), Allan Ganley (d). My Shining Hour*/Hundred Years From Today*/It's Only A Paper Moon*/Autumn Leaves*/Stars Fell On Alabama*/Moonglow*/ Blue Skies*/Time On My Hands*/Stella By Starlight*/September In The Rain*/Autumn In New York*/Sunday*/How High The Moon*/Things We Did Last Summer*/I've Got The World On A String*/You And the Night And The Music*/Time After Time*. Tony Coe (cl,ts), Gerard Presencer (tp.cnt), Brian Lemon (p), Dave Green (b). Wrap Your Troubles In Dreams*/Ghost Of A Chance*/It Had To Be You*/Don't Blame Me*/I Cover The Waterfront*/You've Changed*/Poor Butterfly*/I Can't Get Started*/Our Love Is Here To Stay*/Body And Soul*/If Dreams Come True*/April In Paris*/Embraceable You*. They Can't Take That Away From Me (2 takes)*/Fascinating Rhythm*/Somebody Loves Me*/How Long Has This Been Going On (2 takes)*/A Foggy Day*/Shall We Dance*/I Loves You Porgy*/Soon*/Love Walked In*/Who Cares*. Henry Lowther, Gerard Presencer (tp,flhrn), Mark Nightingale (tb), Peter King, Evan Parker, Julian Arguelles (sax), Anthony Kerr (vib), Brian Lemon (p), Dave Green (b), Charlie Watts (d), Luis Jardim (perc). Main Stem/Bemsha Swing/Anthony's Dice/Roll 'Em Charlie/What's New?/Body And Soul/Here's That Rainy Day/Tin Tin Deo/Sunset And Mockingbird/Little Willie Leaps/Airto 11/Chasing Reality/Faction And Band Introduction/Elvin's Song/Take The A Train. Combined personnel featuring: Brian Lemon, Ruby Braff, Scott Hamilton, Warren Vache, Derek Watkins, George Masso, Roy Williams, Dave Cliff, Ken Peplowski, David Newton. This page was last updated during January, 2016.